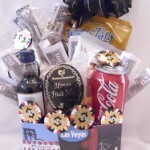 Elvis on stage snack gift basket hand delivered in Las Vegas. 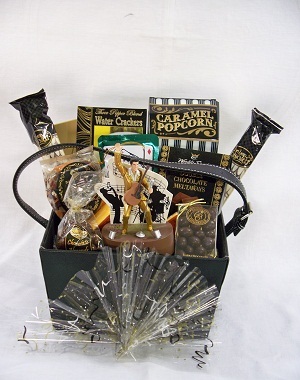 Leatherette gift container filled with 4 oz cheddar cheese, crackers, buttery caramel corn, Las Vegas themed coffee, gourmet hazelnut biscotti, green tea candies, chocolate truffles, chocolate almonds. mango snack mix, chocolate covered espresso beans, Souvenir Elvis ornament sings and the Elvis figurine moves with the music as the stage lights up. 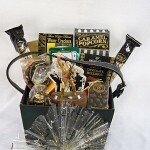 Great Gift for anyone coming to Las Vegas. 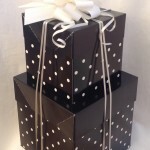 Soft cello wrap and bow complete this gift. 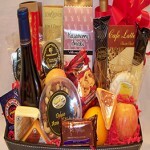 Local Las Vegas delivery and nationwide shipping since 2002.